Carters: 20% off your purchase of $40 or more. Valid through September 1st. Discover new blogs, make new friends and gain more followers! Happy Tuesday Blog Hopping! 1.Follow all 3 of your hostesses. Make sure to leave us comments (we do follow back). Link up to this hop by adding your blog to the linky list below. Please remember this is not a "giveaway link up" also keep this clean and family friendly. We will be watching. 2. 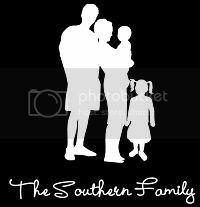 Make sure to follow our "Spotlighted Blog" of the week Southern Reflections. For every new follower Marlessa of Southern Reflections will donate 25 cents toward her Grandfather's amazing Mission, International Christian Mission. You can read more about it on her blog. She is blogging for a cause, gotta love it! 3.Grab the Tuesday Blog Hop Button and make sure to indicate it in a post on your blog so fellow "hoppers" know where to comment. We all want to lead healthier lives, and adding organic products is one surefire way to do so. Buying organic allows us to exclude items grown using non-organic insecticides and pesticides, and often. But even as more and more of our families’ staples are available in with an organic stamp, this healthy fare can come at a high price. Shop at your local farmers’ market. Farmers’ markets provide fresh, nutritious foods and many feature prices equal to the supermarket. Start coupon clipping! Many organic products can be purchased at sale prices, and you can make the cost even lower with the help from coupons. Didn’t think you could get coupons for organics? Not so. Think quality, not quantity. By cutting back on a few of the more expensive foods your family usually buys, you can bank some savings to apply toward buying organic foods. Buy flour made from spelt. It costs less than organic white flour and is great for you. Eat one meal a week that is 100 percent made locally. These foods are organic and, again, aren’t terribly expensive when purchased at your local farmer’s market. Even when you’re buying from the grocer, though, you may find that locally sourced veggies have a lower price point. Turn vegetarian 2-3 days each week. With the money you’re saving on beef, pork and chicken, you can buy fresh and organic veggies and fruits. Expand your seed and nut palette. There’s a wide variety of raw delicious seeds and nuts that will increase your energy levels by up to 400 percent. Try sunflower seeds, chia seeds, hemp seeds, almonds, walnuts, and pecans. Branch out with bread. Instead of eating white bread, switch it up and try breads made with whole grains. Keep some color in your pasta! Take your pasta down the whole-grain path as well. When you ditch the refined grains the cost difference is nil, and the results will have you feeling more energetic. Go au natural. Raw sugar is about the same price as refined sugar, and coupons can sometimes be found here on redplum.com. With these ten tips, you can start living an organic lifestyle a little bit at a time—without breaking the bank! Katrina Robinson writes for Global Healing Center.com. Jungle Island is celebrating Labor Day with a “Nabor Day Weekend,” offering admission for $10 per person to Miami-Dade and Broward residents Sept. 4-6. To get the deal, you’ll need proof of residency. Amazon.com is offering a free download of Serif's Digital Scrapbook Artist software worth $49.99. Scrapbooking goes high-tech with this easy-to-use software. Preserve special memories and make keepsakes on your computer in a few easy steps. Then, save, print, e-mail, make PDFs or share your scrapbooks online. It even has a scissor and punch tool. Big upside: There's nothing to put away and no mess to clean up when you're done! Click here for the deal. You have to have an Amazon.com account. Walgreens has finally issued and put up an official coupon acceptance policy and have posted it on their website! Click HERE to check it out! FREE wyb 2 after stacked coupons! $2.99 ea. after stacked coupons! I came across this article and thought it was well written and very insightful! From Friday, August 27 through Sunday, September 19, Babies''R''Us and Toys''R''Us stores nationwide are holding the ''Great Trade-In'' event, providing our guests the opportunity to trade-in any used cribs, car seats, bassinets, strollers, travel systems, playards, toddler beds or high chairs in exchange for a 25% savings on the purchase of any new baby item, in any of these product categories, from select manufacturers. The ''Great Trade-In'' event places an emphasis on specific baby products, such as cribs and car seats that, due to safety concerns, may not be the best candidates to be handed down or resold. Beyond recalls, certain older and used baby items can be potentially unsafe for a variety of reasons, including damage or lack of compliance with recent advances in product safety standards. Visit your local Babies''R''Us or Toys''R''Us store to trade-in your used crib or baby product. Day care centers or other organizations who wish to exchange items in bulk are encouraged to contact their local Babies''R''Us or Toys''R''Us store prior to returning their used items to ensure adequate availability of new merchandise. In conjunction with the ''Great Trade-In'' event, Toys''R''Us, Inc. is launching a new Product Safety Vigilance Program to provide parents with proactive steps they can take to become advocates for their children's safety. The program includes ''Eight Steps to Keep Kids Safe,'' a checklist to help parents stay informed about product recalls and other potential hazards, as well as a Product Record List to assist parents in tracking purchases and gifts. Visit Toysrus.com/Safety for more information. One of the best vacations my lil family of 3 [soon to be 4] has taken was to the Nickelodeon Hotel in Orlando, FL. The hotel is a child's dream and how much better can it get when you are hanging out with your favorite Nickelodeon characters ALLLLLLL DAY! In my daughter's case she was uberexcited to meet Dora the Explorer. So we rented a DORA room for her....she was in heaven! As a parent, it was so fulfilling to see that little girl smile the whole time she was there. Totally made my whole vacation so worth while. I always tell parents that visiting the hotel is definitely a MUST for all families. I must admit, I get excited thinking about going to the hotel just because of the fact that I do not need to leave the hotel for my children to feel like they fully enjoyed themselves. We are booked for next year to take our girls to the hotel and enjoy a nice weekend with them. There are many options in the area for entertainment [although the hotel is all the entertainment the children will need]. SeaWorld Orlando and Aquatica are at a close proximity to the hotel as well as Downtown Disney. As a FL resident you are eligible for further discounts. Currently, the hotel is promoting this special for FL residents! Late check out at noon – sleep in! Book online or call 877-642-5111 and ask to be part of the Florida Residents’ Club. *For rates during time periods that aren’t listed, please call 1-877-642-5111. Offer based on limited availability Sunday-Thursday. Rates and conditions subject to change. Black-out dates and restrictions may apply. Character Meet and Greet is available Monday through Friday at noon. Cannot be combined with any other special offers or promotional rates. Offer available to Florida Residents only. Must provide valid Florida Resident I.D. at check in. Food and beverages discount excludes Other Stuff convenient store. The resort fee of $25 USD, plus tax, per night will be charged, which includes scheduled bus transportation to the four Disney Theme Parks, poolside entertainment, water park features, business center, high-speed internet, parking and unlimited local phone calls. This fee is not included in the room rate and will be charged regardless of service usage. Click here to check out the hotel's website and amenities. Enjoy and hope you get to have the SLIME of your life! off your purchase of $150 or more. Promo 2043. This sale is Tops! $15 select tops. There is a great sale going on and I strongly advise you all [who are preggie, like me] to take a look! Click here for a sneak peek at Target's upcoming deals! Make sure you “Like” Walgreens on Facebook because they have given a promo code for a FREE custom photo book! This deal is only for TODAY, August 25th! There are several of these products on sale with some great coupons to match. Kellogg’s Cinnabon $.99/each, sale price $1.99, use the coupon for $1/1 Kellogg’s Cinnabon Product from the 8/15/2010 Parade Magazine (exp 9/25/2010), There’s also a coupon for $0.75/1 Kellogg’s Cinnabon Cereal from the 8/8/2010 RP Insert (exp 9/19/2010) or coupon for $.75/1 found here. Target is definitely making MOMMA proud! The coupons they have been posting recently are pretty awesome! 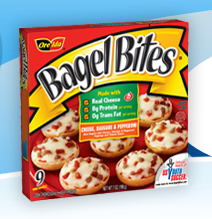 You can also find many more Target coupons available here. Thanks to iGoBOGO for the heads up! Sunday through Tuesday, New York & Company has a crazy deal on all their pants and denim. They are all Buy One Get One Free, and every order gets FREE shipping! 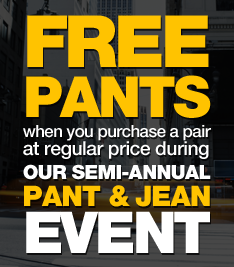 The pant sale requires no coupon code, but to get the free shipping you’ll need to enter code 1120 at checkout. On top of that, also through Tuesday they have a ton of different tops $15 each (some are reg. $25-$30). Go through Shop At Home first and get 7% cash back.